Have you been eager to know the current Mercedes C230 price in Nigeria? And other Mercedes Benz prices in Nigeria as well? Click here to see the updated list. We understand that lots of people have been curious about the current Mercedes C230 price in Nigeria, as well as getting an updated price list of some other Mercedes Benz products in Nigeria. That’s why Naijauto.com has brought out this detailed piece to satisfy everyone’s curiosity. Read on patiently. Mercedes Benz is a renowned king brand in the automobile world. It is a section of popular German Vehicle manufacturer known as Daimler AG and was first introduced in 1926 under the name Daimler-Benz back then. This brand happens to actually be the conjunction of Benz Patent Motorwagen which was founded by Karl Benz and Daimler Motoren Gesellschaft (DMG). The brand aimed to produce a wide range of luxury brand of vehicles, ranging from buses to passenger cars and lorries. The brand currently has their headquarters situated in Stuttgart City, Germany. That’s aside from the 2 main subsidiaries that they also have which are: AMG & Maybach. The Maybach subsidiary produces super-luxury variants of the Mercedes Benz. In China, they have also been involved actively in the design of electric cars in collaboration with BYD Auto Group. In transportation engineering, this brand has always been an active participant and engine supplier in most reputable motorsports like the Formula One thereby proving its leadership position. The ruling king indeed, isn’t it? This brand rolls out various products like compact sedans, off-road rugged vehicles, coupes, large-sized trucks, and the likes. Which reveals their nonstop endeavor to completely rule over the automobile world. No wonder why some people like to refer to the Mercedes Benz as “King” of the entire automotive industry as a whole. These Mercedes Benz vehicles are boasted about diverse body styles, delivering high performance, flexibility and indisputable durability in different types of climate and terrains. >>> Fresh and Hot from the auto market: The New Mercedes Benz A-Class 2019 - you just have to see! Over the years, Mercedes Benz brand has produced so many models that are popular and on high demand in the Nigeria automobile market. One of such brands is the Mercedes Benz C230 and Mercedes Benz C230 Kompressor. Lots of people do not know that these Mercedes C230 and Mercedes C230 Kompressor models belong to the C-Class series of Mercedes Benz. Yes, that’s right. So, as you are here and reading this, remember to read through Mercedes C-Class models right after the C230 price list. The table you will see down here has been prepared to easily show you the different range of locally used Mercedes C230 price in Nigeria. See the table below! The table you will see down here has been prepared to easily show you the different range of foreign used Mercedes C230 price in Nigeria. Check it carefully! The Mercedes Benz C-Class was launched in 1993 to succeed to 190 (W201) range in the form of compact executive cars. The C-Class is built at the Mercedes Benz factories in Bremen and Sindelfingen, Germany and in some other satellite factories all over the globe. Not until the W168 A-Class that arrived 4 years later, the C-Class had been the smallest model in the marque’s line-up. On 1st June 1993, the first C-Class sedan (coded W202) was produced and afterward on 18th July 2000, the 2nd-gen, W203, came out of the assembly line. This sedan debuted as at that time with a range of inline-four engines and V6 petrol engines. It also came with a range of inline-four and inline-five diesel engines but later received the V6 diesel engine as well. 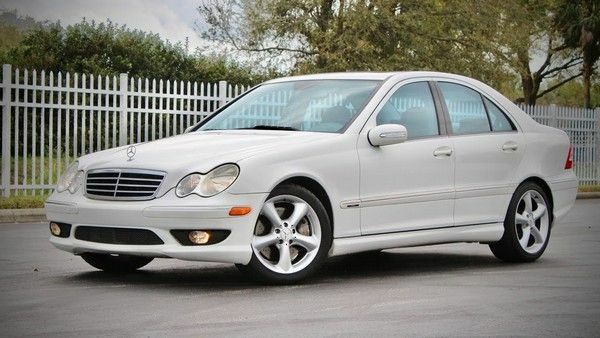 Since the year 2002, the C-Class has been offered with a four-wheel drive (4matic) option. In 2007, W204 was introduced. And in the year 2014, the latest generation W205 rolled out. Below we have provided you with updated price lists of other popular Mercedes Benz models that are in high demand in the Nigerian automobile market besides C230 above. 3. Planning to buy Mercedes Benz in Nigeria? Read this! In the Nigerian automobile market, certain trims of Mercedes products are more favored than the others compared to the worldwide automobile market where all their products are popular. Because of this known fact, the Mercedes Benz price list in Nigeria that you will be seeing shortly below will only include some selected, typical models that are often demanded and chosen by Nigerian buyers. Before then, we need to address a common issue of people not realizing that it’s relatively easy to own a Mercedes Benz vehicle. Yes, we know many people can’t afford such high price tags that mostly comes with the brand-new units, instead we are advising that they should start looking into foreign used (Tokunbo) Mercedes Benz cars or fairly used (Nigerian) Mercedes Benz cars to buy. These Tokunbo and fairly used ones always come with a more affordable price. One thing to keep in mind is that Naijauto.com has massive listings of New, Tokunbo and fairly used Mercedes Benz cars for sale in Nigeria, from all over the 36 states. You only need to arrange on phone, how to meet the seller so that you can check the car’s condition, mileage and any other important features you have interest in. So, what else could be stopping you from buying that Mercedes Benz car of your dreams? See below, the price range of the most popular Mercedes Benz vehicles in Nigeria. You should be aware that not all the Mercedes Benz models that you know are still in production and some are no more shipped down to Nigeria recently. So, we have only put together a brief list of some of the hot and recently, most demanded brand-new Mercedes Benz vehicles. We have noticed that among the various other models of Mercedes Benz in Nigeria, the Benz ML 350 has been the one with the highest demand lately in Tokunbo or fairly used category. Reasons behind this huge interest can be traced to its captivating design and its currently affordable prices. So, we have brought together the current price range of foreign used Mercedes Benz ML 350 for you to see. 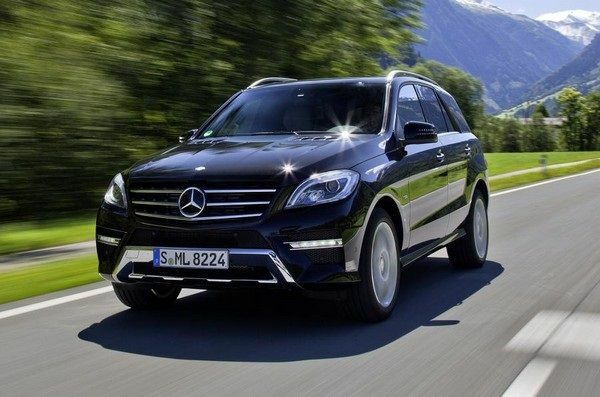 >>> [Hot] Latest Mercedes Benz ML350 prices in Nigeria - Should you buy one? In the table below, you will see how much it costs to own a clean Nigerian used Mercedes Benz vehicle. Do note that, we have only listed the most popular models. You may ask why we choose 2005 model year to comment on. Well, the fact is this model seems to be on the trend in Nigerian auto markets these days. Everybody when mentioning C230 may immediately think of the Kompressor year 2005 with powerful performance. However, don't let others' praise fool you, there're a lot more you need to pay attention to if intending to buy this car. 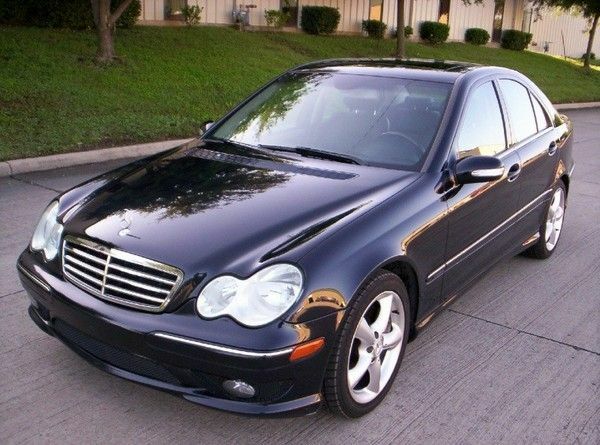 Check out objective 2005 Mercedes Benz c230 pictures and reviews below for more! 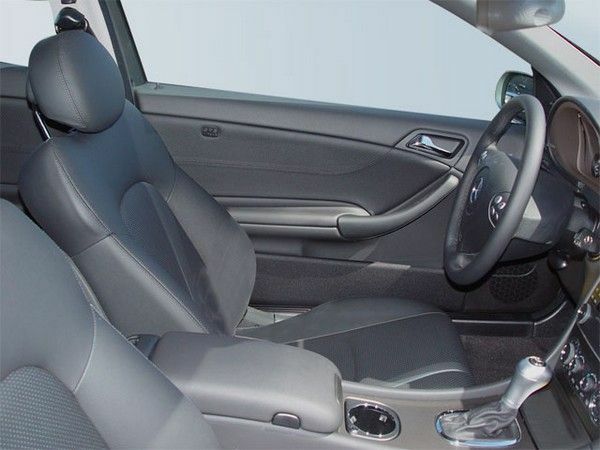 When one looks at a 2005 Mercedes Benz C230 interior and exterior, he or she must agree the German automaker has never failed their customers' expectations. With revised headlamps and tail lamps plus the sporty style inspired by "04 Sport Sedan," C230 model year 2005 looks sleek and dynamic at the same time. A remarkable feature of this model is its ability to minimize outside wind noises thanks to the clever design of windshield pillars, side-view mirrors and wipers. Driving a C230 2005, you can feel the utmost comfort of a quiet journey (in case no girl or woman rides in your car at that time). Moving to its performance, the C230 model year 2005 is powered by a supercharged 1.8L DOHC 4-cylinder engine to produce up to 189 hp. The car can also accelerate to 100 kmh within 7.8 seconds with a standard 6-speed manual gearbox. However, with its base price for a brand new model (around ₦15 million, excluding tax), you can find many other products with similar features but outperforming this Mercedes sedan. 4. What do Mercedes C230 and other models have? As we said earlier, you can buy more powerful cars with the same amount of money, so why people rush for Mercedes Benz right after they can afford? Remarkable durability – We do not need to emphasize this point too much; Mercedes Benz products are well known for their strength and durability. They are known for adapting to extreme and challenging weather conditions around the world, while still durable throughout the time of use. Hi-class and classy orientation – Even though the pricing of most of the Mercedes Benz products are always on the high side, one cannot but get mesmerized by the luxurious interiors, beautiful exteriors and a generally classy design altogether in their whole line-up. Good customer services – Just as we can see recently; Mercedes Benz showroom has its grand opening in Lagos. Same way they are spreading their service centers to major regions in all countries around the globe for the purpose of giving their customers the best satisfaction possible. This is undeniably a plus for them. Multi-purpose – They have produced so many cars with a wide range of engine configurations and body styles which makes them able to serve multiple purposes for individuals, organizations or groups. Distinct trademark – Apart from their unmistakable logo that stands out really well, there is always a perception of high class and luxury that comes whenever a Mercedes Benz vehicle is spotted. Fuel Economy – Some people will argue that the money for constant fueling shouldn’t be a problem for whoever could afford luxury vehicles like the Mercedes Benz products. But we will like to point out that most people buy the Tokunbo or Nigerian used Benz products. This means that they have lower pocket size but still desire the luxury that comes with the brand. So, in order to gain more popularity from the public audience, this brand should definitely look into improving the fuel consumption rate in their products. Overall pricing – Everyone would love to have a taste of the classy Mercedes Benz products, but not everyone can afford the current prices. This is why we will like to recommend that the brand improves on probably making some budget-friendly variants of their popular models or rather reduce the retail price of their products in some other ways. This will make more people patronize the brand. Yes, that will be all we have on this brand for now. After preparing the above-updated list on Mercedes C230 price in Nigeria, we realized that average citizens can now own this vehicle model, thanks to the massive availability of Tokunbo and Nigerian used units on market now. Nonetheless, we would still reckon that brand new Mercedes Benz products are costly and not so budget friendly.